McIntosh is roundly regarded as highly effective, policy-driven and wonky, even by some of the more conservative Republicans who operate on her committee. Moreover, McIntosh is a stoic figure in Maryland politics, and she is respected for pushing through some monumentally big-ticket policy items during her career in Annapolis. She is refraining from commenting on her intentions to seek the Speaker’s gavel – out of respect, of course, for the late Speaker Michael E. Busch, may he rest in peace. McIntosh knows, the Democratic caucus understands and even House Republicans are aware that the 71-year-old delegate from Baltimore City’s District 43 emerges from this session as the clear-cut frontrunner to become the next Speaker of the Maryland House of Delegates. Could there be a more influential state senator this session than Brian Feldman? Feldman should undeniably be first on the list when it comes time to choose a new Senate president. The one-time liberal grenade throwing ear-ring wearing 69-year-old Prince George’s County progressive lion demonstrated poise and even-handedness in his first session as chairman of the Education, Health and Environmental Affairs Committee. Pinsky’s colleagues say this about him: You always know where you stand with Paul Pinsky. What’s best about Paul Pinsky? His legislative aides are known for their piercing sense of humor and sometimes salty vocabulary but nonetheless dedicated to ensuring Maryland schools are the best in the nation. Politics is not personal with Pinsky, standing in stark contrast to his freshman Senate colleague, Sen. Ben Kramer from Montgomery County, who, like Pinsky, has had his fair share of policy disagreements and legislative battles with Comptroller Peter Franchot. Pinsky should be commended for shepherding the passage of major craft beer reforms and running a public relations campaign that ultimately defeated one of Gov. Larry Hogan’s signature executive orders (schools beginning after Labor Day). Pinsky is now being mentioned as possible Senate President timber, alongside some of the more moderate alternatives. On the heels of a successful first session as chairwoman of the Senate Budget and Taxation Committee, King is attracting interest as a possible dark-horse candidate for Senate President. Her candidacy would have historic appeal as the first woman to hold the position, a pragmatic value as a moderate, who would preserve bridges to the state’s business community and who would make strategic sense as a Washington suburban counterpoint to the Baltimore-based Maggie McIntosh. They just don’t get it – and they never will, so it seems. As much as the intrepid Jake Weissmann, the formidable Alex Hughes and the robust institutional press want to call Franchot a loser – the more they attack him, the more bombs they launch at him – the stronger Franchot’s political base grows. The Annapolis Machine has utterly failed in running a half-assed PR strategy, depicting Franchot as a dead man walking, politically speaking, that is. But the Machine cannot plug their ears long enough to drown out the growing calls for Franchot to run for governor in 2022. Oh, they hear it, every single day, loud and clear. Peter Franchot and Donald Trump may have extreme diverging political beliefs and philosophies (if Trump has any at all); however, it’s worth stating the obvious parallels between the two men: The coalitions that Franchot and Trump have built rests mostly on outsiders who feel their voices do not matter by the respective political machines. Enough of this silly insider maundering about the loss of Franchot’s Field Enforcement Division. It has been said that Senate President Miller and the late Speaker Busch would have the votes to burn down the State House if they wished. So the fact that they had the votes to spend $50 million as retribution against an outspoken comptroller is hardly an accomplishment. So much so, Jake Weissmann, the Senate President’s top aide – a nice guy with a gob of professional talent, whose competition for spinning pure and unadulterated BS to the press is only rivaled by Anthony Scaramucci and Kellyanne Conway – should step outside of his Senate office once and a while and join Franchot on the road to learn why so many Marylanders have broken up with the political establishment. Maybe then the press wouldn’t have to sit through insufferable spin sessions in Weissmann’s office or hear yet another gripe about how mean and nasty Len Foxwell is. It gets old, Jake; but, hey, I get it. You have a job to do. It’s not personal. 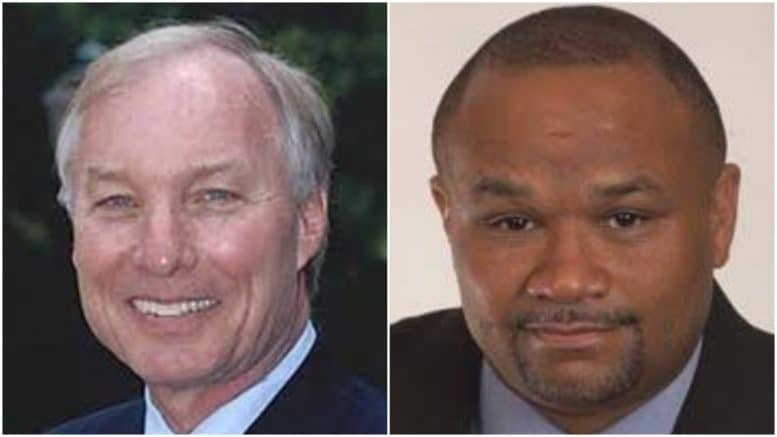 The takeaways, for those outside the Annapolis bubble, are that leadership views Franchot as a sufficient threat to spend time and money of this magnitude on their retaliation scheme. And that, far from sending Franchot into retreat, these machinations have made him more popular on the hustings than ever before: He’s the singular symbol of the anti-machine resistance in an age of anti-machine politics. Congratulations, Annapolis leadership and others, your anti-Franchot crusade only emboldened Franchot with millions of Marylanders (and growing), and his statewide star shines brighter than ever. See above RE The Annapolis Machine and The Political Establishment. The Annapolis insiders who populate the hallways of the State House and the basement press office (controlled by the legendary iron-fisted Dean Sears) will, of course, dwell on Washington’s unsuccessful bid to forestall legislation authorizing the creation of a Johns Hopkins University police force. What is clear from traveling around the affected neighborhoods of her district – the fightin’ 43rd – and, specifically, by talking to students and faculty on Hopkins’ Homewood campus, is that Washington is being viewed as a hero for a courageous stand against the biggest civic and economic behemoth on the block. There is such thing as winning by losing in politics. Mary Washington, who is now receiving citywide buzz as a potential anti-corruption, pro-reform candidate for Mayor of Baltimore, is giving us a Hopkins-worthy graduate course in this technique. Finally, Mary Washington knew the machine she was up against when, last year, she defeated one of Mike Miller’s top deputies in a Senate primary she was expected to lose. She did not disappoint this session. Stand up and clap, fellow Marylanders, for this is how journalism is done. The Baltimore Sun’s reporting on Catherine Pugh’s Healthy Holly scandal is some of the finest investigative journalism Maryland has seen to date. Every day the Sun is churning out a new story about Baltimore City’s ongoing scandal that rocked City Hall and has left Jack Young as the acting mayor. There are no finer journalists than Luke Broadwater and Pamela Wood. We’re lucky to have them. The Washington Post’s Ovetta Wiggins chased down the Lisanti story when other journalists were afraid to even touch it. Wiggins’ reporting alone this session was game-changing. No more are the days when a legislator’s racist words are kept under wraps, even by some in leadership. Kudos to you, Ovetta. You absolutely crushed it this session. If you listened to the chatter at the beginning of this legislative session, you would have thought that Nancy Kopp was DOA. Kopp, a Democrat, however, was resoundingly re-elected to serve as the state treasurer for another four-year term. She received 134 votes out of the 183 votes cast. Her re-election elevates her as yet another winner to emerge from this Annapolis session. Senate Minority Leader J.B. Jennings and Minority Whip Steve Hershey proved to be an effective duo. Hershey, especially, proved himself as a gifted orator and passionate supporter for key Eastern Shore constituencies. Jennings, who understands that Republicans are severely weakened in Annapolis, should be given extreme credit for corraling his caucus and working with Democrats on key issues. House Minority Leader Nic Kipke and House Minority Whip Kathy Szeliga once again proved their value to their respective caucus. Kipke has an excellent relationship with the press. His transparency and accessibility are important, and it’s the markings of a successful leader. Moreover, Kipke knows how the play the game. And he’s good at it. Szeliga, a staunch conservative, has demonstrated authentic political growth during the past session; she was able to work across the aisle with some of her more liberal Democratic colleagues while emphasizing her conservative ideals. She’s known sometimes for her red-meat approach, but she buckled down this session and worked well across the aisle. There is no lobbyist in Annapolis who comes close to Bruce Bereano’s work ethic. Bereano has earned the reputation he has because of his addiction to finding his clients the best possible outcome. You will not find a harder-working lobbyist in Annapolis. You just won’t. Lisanti’s “N-word” scandal and subsequent censure left an indelible stain on this year’s legislative proceedings, removing focus, temporarily, from some big-ticket issues. Much to the chagrin of her colleagues, Lisanti remains in office, albeit a severely wounded political lame duck. Unless Lisanti is expelled from the House, which appears unlikely at this juncture, the voters in her legislative district will ultimately decide her political fate. The ethics report released to the public late in session unwinds some of Jalisi’s unprofessional conduct and mistreatment of his staff, and it confirmed the worst-kept secret in Annapolis amid Jalisi’s colleagues: He’s a terrible boss and somewhat of a weirdo. Whether Jalisi is being targeted by the Annapolis Machine is up for debate, but he left himself with virtually no defenders (and no staff). Jalisi, however, will likely survive this unfortunate wrist-slap. After all, his number-one crusader and likely unpaid staffer, Nina McHugh, can just threaten “legal action” against anyone who dares to question Jalisi or dig deeper into his background, which is inevitable after this episode. It’s always nice to have an unpaid staffer as a pitbull. At the beginning of the session, Impallaria’s top aide, Tyler Walch, was fired by the Speaker’s office after it came to light that Walch last year allegedly liquored up a young and unsuspecting female political aide and encouraged her to voice an illegal robocall aimed at Impallaria’s seatmate, Kathy Szeliga. Walch was indicted by Emmet Davitt, the state’s prosecutor, and is expected to be in Baltimore County District Court on April 30 for trial. Of course, Imapallaria furiously defended his aide, dismissing without prejudice the seriousness of Walsh’s alleged crimes. Impallaria wasted this session targeting Republican leadership and pretending to be a political victim – which he is not. Arguably the most powerful chairman of any House committee, Davis got Rick Rolled by his own party on the Clean Energy Jobs Act, which he thought he had the votes to kill. He didn’t. He had the wrong whip count and suffered a catastrophic defeat on a major policy issue. Davis is, according to House staffers, seen as someone who deliberately kills progressive bills in ECM. That’s not going to sit well with some of the more progressive members. Once considered as the frontrunner to succeed Busch as Speaker, Davis now lacks a clear path to standing full-time at the Speaker’s rostrum. The chatter circulating amid the House office buildings is that Davis began calling his House colleagues, in an effort to whip votes to run for Speaker, soon after Speaker Busch passed away on Sunday afternoon. That didn’t sit well with several members. Now that Adrienne Jones, the Speaker Pro Tem, announced that she will throw her name into the proverbial hat for Speaker, you could likely imagine a scenario where Jones and Davis split the vote and elect Maggie McIntosh. However, many Republican members of the House tell A Miner Detail that Davis could lock down significant Republican support because he’s viewed as the “moderate” alternative to McIntosh. While expending his time and resources focusing on President Donald J. Trump’s activities (a worthwhile endeavor, many believe), the state’s attorney general has been radio silent on Baltimore City Mayor Catherine Pugh’s scandal. Some in his own party are asking, “Where’s Brian Frosh” and why isn’t he getting involved? The venerable reporter and respected State House journalist was virtually AWOL this session in breaking some of the big stories that were first reported by The Baltimore Sun and The Washington Post. While Mr. Sears was crippled with agony over A Miner Detail’s Ryan Miner’s “self-styled” work (thank you for reading! ), the brazen basement veteran journalist apparently missed the boat on the Catherine Pugh story, while his colleagues at The Baltimore Sun and The Baltimore Brew are making history with their own “self-styled” journalism. The 82-year-old Senate Finance chair proved to be a bit of a trainwreck this session. According to quite a number of Kelley’s Senate colleagues, she was reluctant to seek outside counsel, which apparently caused some contention on the Finance Committee. When she is not busy insinuating that Gov. Larry Hogan is a racist, the chairwoman of the Maryland Democratic Party is fully engaged in futile Twitter spats with other Republican lawmakers. It serves no point. The Maryland Democratic Party under Rockeymoore Cummings’ leadership since her election has been nothing short of a total disaster. You have a better chance of seeing God than a Republican being elected mayor of Baltimore City – but imagine for just a moment if Larry Hogan or any other generic Republican was the mayor of Baltimore City: There would be daily press briefings (one would assume) calling on him or her to resign. Dr. Cummings’ virtual silence over the Healthy Holly scandal speaks volumes. When will she officially release a statement calling on her close friend, Catherine Pugh, to resign, following the lead of the 14 Baltimore City Council members? Where is your leadership, Dr. Cummings? Be the first to comment on "The 2019 Annapolis Session Winners and Losers"